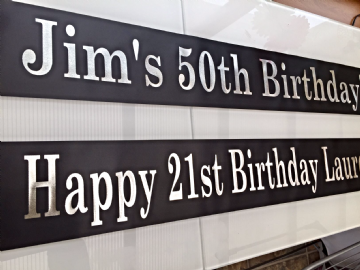 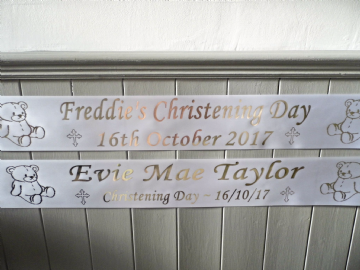 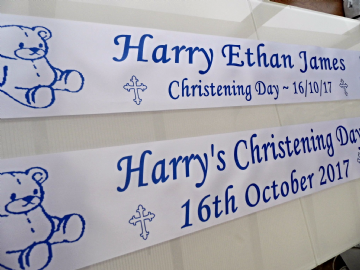 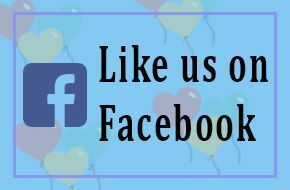 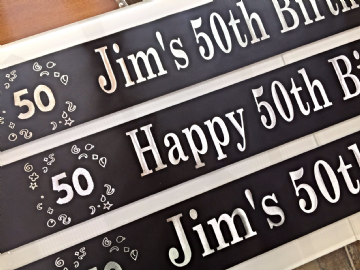 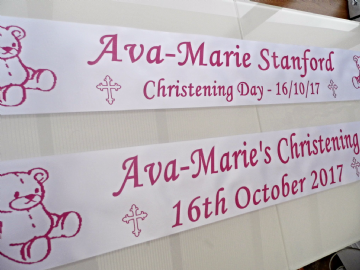 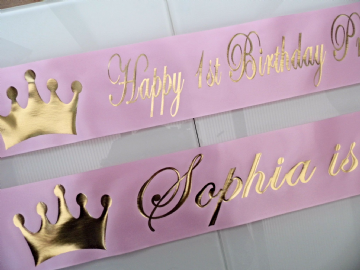 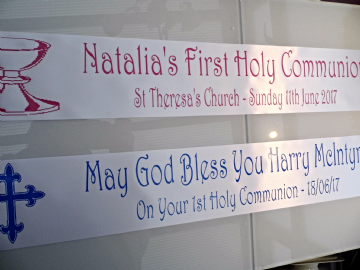 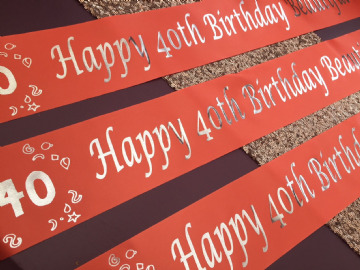 Personalised banners for birthdays, parties, Christenings, First Communions, celebrations or events. 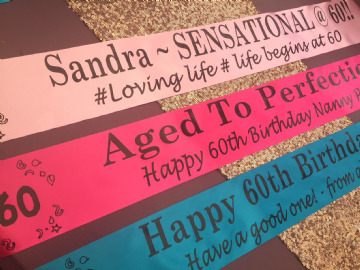 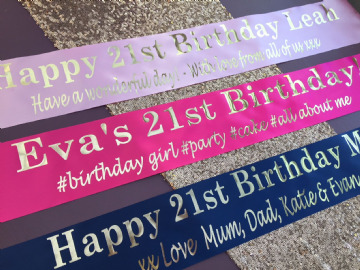 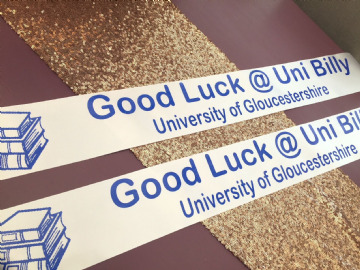 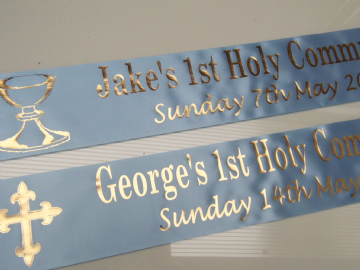 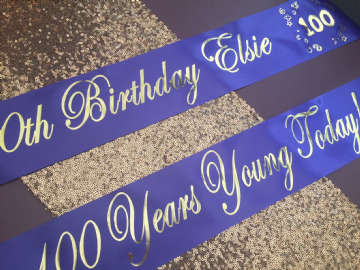 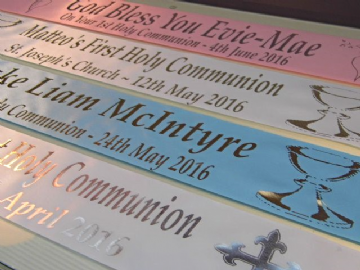 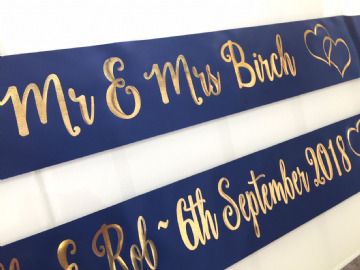 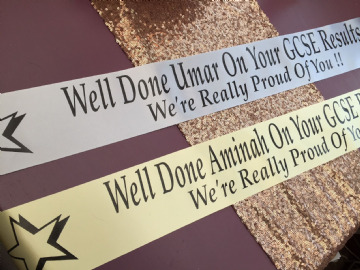 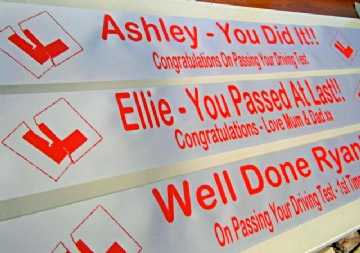 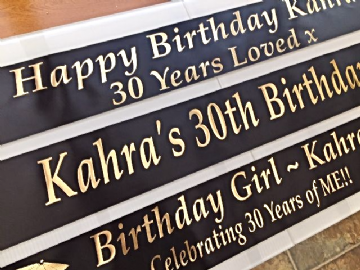 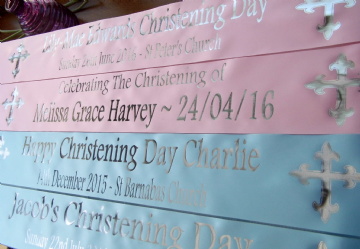 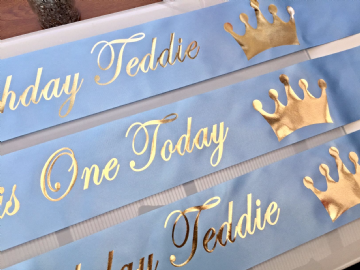 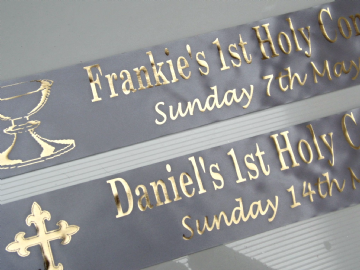 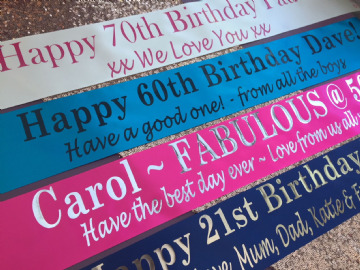 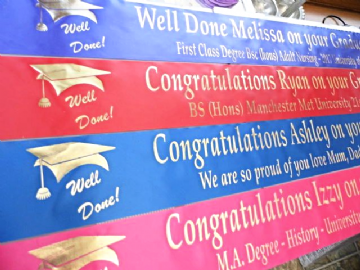 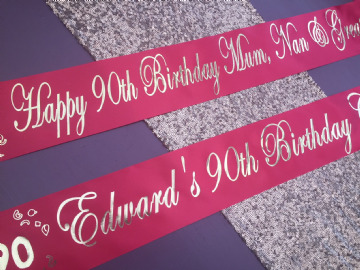 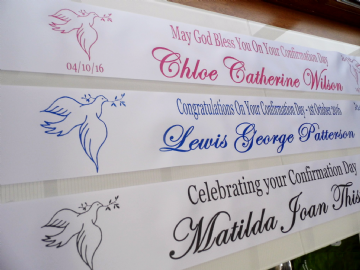 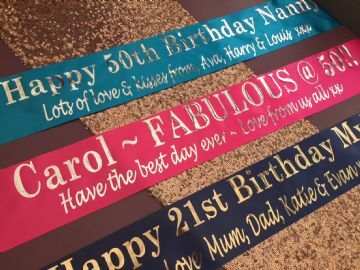 Suitable for every occasion our personalised ribbon banners are produced from the best quality polyester/satin ribbon in a selection of colours and inks. 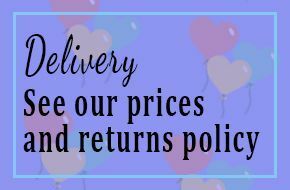 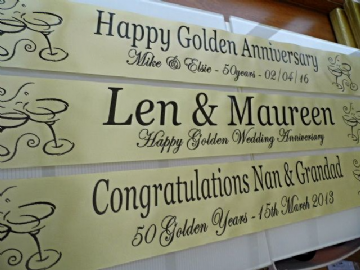 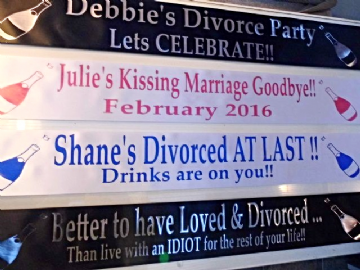 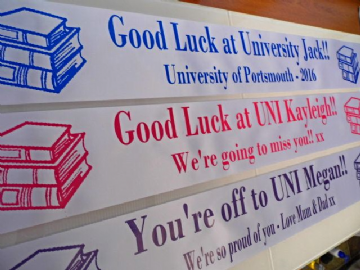 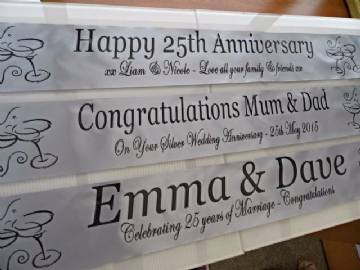 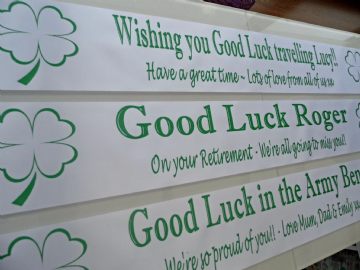 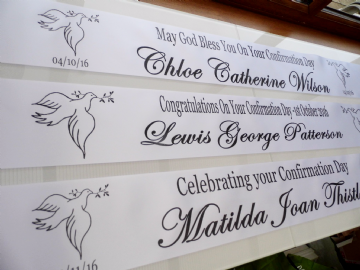 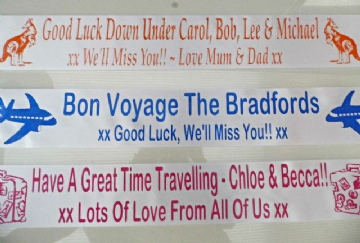 From birthday banners to baby banners, weddings and graduations you can have your very own message printed. 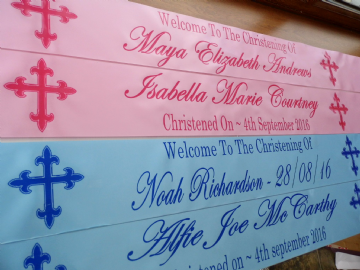 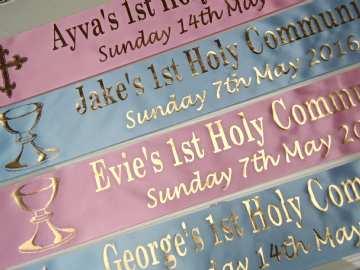 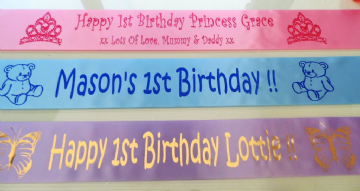 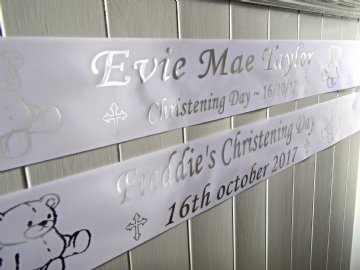 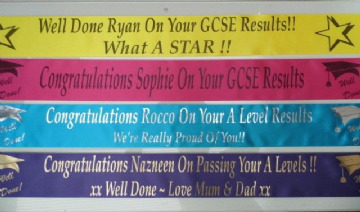 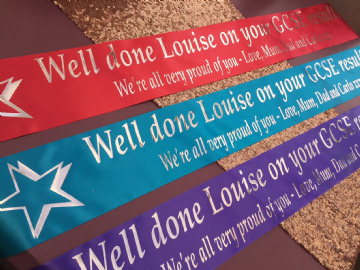 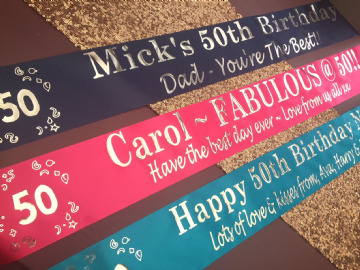 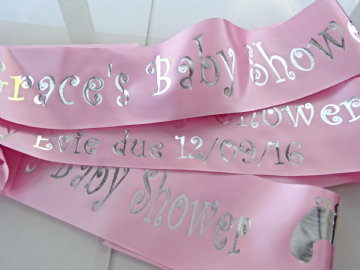 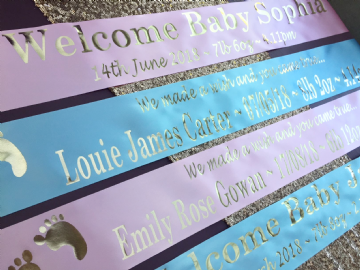 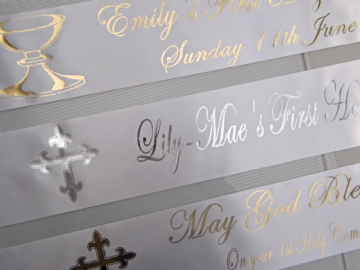 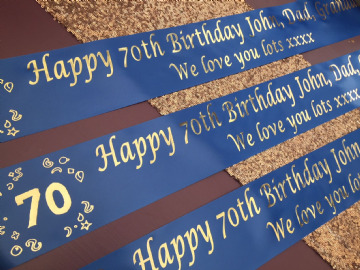 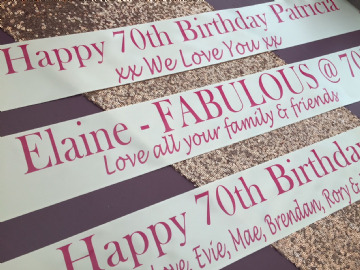 Make every special moment memorable with a beautiful personalised ribbon banner.